Craig Shakespeare, 49, of Birmingham, sustained serious foot injuries in the incident last year and now needs a wheelchair. He has been unable to work since. Mr Shakespeare was working for Solihull-based Swan Scaffolding Contractors Ltd, building a supporting scaffold to hold a theatrical set in place at The Bond on Fazeley Street in Birmingham. Mr Shakespeare was working from a ladder to attach supporting scaffold to the back of the wooden set. As he pulled a fixture on the set towards the scaffold the fixture came away and he lost his balance. He realised he was about to fall and jumped from the ladder, but landed heavily on his feet, badly breaking both heels. Swan Scaffolding Contractors Ltd was up in court yesterday, in a prosecution brought by the Health & Safety Executive (HSE). Birmingham magistrates heard from the HSE that a tower scaffold or elevated work platform should have been used in this instance instead of a ladder. Swan Scaffolding Contractors Limited, of Knowle, Solihull, pleaded guilty to breaching regulation 4(1) of the Work at Height Regulations 2005 and was fined £5,000 and ordered to pay £535 in costs and a £500 victim surcharge. "The danger of using ladders should not be underestimated. This is another example of serious injuries being sustained where other access equipment could have been used instead. A tower scaffold was available and should have been used. As a scaffolding company, Swan Scaffolding should be experts in access and working at height. They know it is a high-risk activity, and they should know what measures to put in place to keep workers safe." Do you use an A-frame or tower? A-frame ladders are easy to set up, take down and use, but you still need to exercise caution with this equipment, especially as a high percentage of fall fatalities and injuries happen whilst using a ladder. Be selective. Make sure the feet, locks and spreaders are in good condition. A ladder should be free of mud, grease or anything that could cause you to slip. If it isn't, take it out of use immediately and discard it if necessary. Set up safely. Make sure the surface you're putting the ladder on is level. If it's grass, soil or gravel the ground should not be so soft that the ladder sinks into it. Clear the area. If you are working in a public place, mark off the area around the ladder to prevent people bumping into it, and to keep passers-by safe from anything falling from above. Whenever you get around to tidying up your hedges, make sure you have something safe and comfortable to stand on. Steps or ladders are not ideal; it's difficult to make them level on uneven ground, and if the soil is soft they are likely to sink in and tip to one side without warning, so make sure you stand them on a scaffold board or something similar. I use a low level platform. The one in the photo is lightweight aluminium tower and can be rented for as little as £19+vat for a day. It breaks down into easily-handled components so can be transported on a roof rack, in a pick-up truck or in a Transit-sized van; alternatively, we can deliver. It is simple to assemble, has height- adjustable wheels at each corner, is easy for one person to move around the garden and is fitted with safety rails so you can't fall off it! Using a long-handled hedge trimmer, you can reach at least a six-metre run of hedge without moving the platform, so you aren't constantly climbing up and down, and if your hedges are higher than mine, you just use a higher tower. The TurfTeq Power Broom will sweep just about any surface, including tarmac, concrete, grass, sports tracks and artificial turf. It's tough polyester bristles effortlessly shift dust, dirt, grit, moss, leaves, twigs, snow and other debris from any surface. The self-propelled, walk-behind Power Broom features a wide, rotary brush; is fitted with a differential lock and is driven by a Honda power unit. The hydrostatic transmission adjusts immediately to suit the conditions, pushing the broom along at anything from a crawl to a brisk walking pace. Easily adjusted for height and ground pressure, the angle of the brush can be instantly altered to sweep ahead, to the left or to the right. Available for hire by the day, week or longer. TurfTeq's Surface Preparation Rake offers the quickest way to prepare soil for turf, grass seed or wild flowers. Much quicker than a rotavator, it not only prepares the soil, but also removes the stones. First you angle the deck left or right to work the stones into windrows for easy collection. Whilst doing this, the rake is already starting to produce a fine tilth and grade the site. Next, pivot the head straight and work it across the area in two or three directions in order to complete the job. You now have a level, rough-raked site ready to accept turf. If you are seeding, you just need to touch in the wheel marks with a hand rake. It tills only the top layer (3 to 25mm), and the soil is immediately ready for use. You don't have to re-consolidate the ground, as you would if you used a rotavator, and it will not slump when the first serious fall of rain comes along. To replace an existing lawn without lifting the old turf, kill off the grass with a suitable chemical. The Rake will quickly rip out the dead grass, working up a tilth as it does so, and the site is ready, leaving only a few bags of dead grass to dispose of. This feature can also be used for heavy scarification, such as preparation for a wild flower meadow or breaking up and levelling self-binding gravel paths, golf buggy paths and similar surfaces. A rugged, bullet-proof, American product driven by TurfTeq's GXV390, Honda-engined tractor. Click for rental prices. Can also be demonstrated and purchased from GroundsCare Products. Surveying can be a tricky business, but it doesn't have to be like that. The ZIPLEVEL Pro 2000 is so straightforward, even an untrained operator can use it! With an optical level, particularly a dumpy or an automatic, you have to learn how to operate it, spend time setting it up; take an assistant with you to help with the readings; do mental arithmetic in order to make sense of the results; do a second set-up if you want to take measurements around a corner or behind an obstruction. ZIPLEVEL is a precision level and altimeter that does not need line of sight. This innovative product can work around corners; behind trees, bushes and garden sheds; needs only one person to operate it; is compact and light weight; easy to use and requires virtually no set-up. It can store up to 137 plots which can be recalled later, and will work over unlimited heights and distances and around any obstacle - unlike laser and dumpy levels. Please have a look at the short demonstration video. This amazing new product is available to rent from County Hire, or to purchase from our sister company, GroundsCare Products. Ignore Work at Height Safety at your Peril!. A West Midlands roofing firm that drew up sound height safety plans and then simply ignored them - fined £7,500. Water Orton-based GS Roofing Specialists LLP was prosecuted following a chance encounter at the Kelvin Way Trading Estate in West Bromwich on 26 September 2013. Sandwell Magistrates' Court heard that an inspector from the Health & Safety Executive (HSE) happened to be on the industrial estate when he spotted two workers on a fragile roof of a business unit. He noted that they were working on the roof with no fall prevention or fall mitigation measures in place. A subsequent HSE investigation found that GS Roofing had prepared a risk assessment and method statement for this work, stating that guard rails and netting would be used. But they were not, and suitable boarding, platforms, or coverings were also all overlooked. GS Roofing Specialists LLP, of Attleboro Lane, Water Orton, was fined £7,500 and ordered to pay £1,090 costs after pleading guilty to breaching regulation 9(2) of the Work at Height Regulations 2005. HSE inspector Gareth Langston said after the hearing: "The dangers that the workers faced were so great and immediately obvious when I witnessed the safety breaches being committed. "GS Roofing Specialists LLP blatantly ignored the risk assessment's advice for fall protection to be in place, leaving workers exposed to an unnecessary risk of a serious or even fatal injury. "Working at height is a high-risk activity. There is a need to adequately plan for such work and ensure those plans are fully implemented and monitored effectively to ensure the safety of those involved." You are now more likely than ever to encounter an HSE inspector, even if you are working on a small-scale domestic project. Make sure you stay safe (and solvent!) by using the correct access equipment for the job. The shortage of bricks is already well documented with house-builders ramping up activity but now timber fencing is also proving to be in short supply with so many fences torn down by the winter storms. So busy are fencing contractors that one Kent fencer told The Construction Index that Easter Sunday was his first day off this year. The Federation of Master Builders (FMB) says that its state of trade survey for the first three months of 2014 indicates that the rising building costs and material shortages are now threatening the economic recovery. Chief executive Brian Berry said: "Rising building costs and material shortages are causing serious concern in the building industry with 80% of SME firms expecting the situation to worsen over the next six months. Although our latest snapshot is the fourth successive quarter showing positive results for workloads, employment and enquiries, this could be undermined by a spike in prices and costs." He continued: "Materials prices are generally around 10% higher across the board with small construction firms highlighting timber products such as sheet materials and timber fencing as being particularly expensive. The increase in the price of timber fencing is largely due to the severe storms that battered the UK during the winter." Mr Berry concluded: "Added to this are concerns over the ready supply of particular materials such as bricks, which could scupper the ability of SME house builders to plug the shortfall in housing supply - this at a time when we need to rapidly increase the number of new homes. Small house builders report that brick manufacturers are asking them to wait until the beginning of 2015 for new orders of bricks and our members perceive this prolonged delay to be a decision to prioritise brick orders from large house builders. If this problem continues, SME house builders may be forced to build with alternative materials such as render or risk stalling sites for the rest of this year." We are once again delighted to announce that we have recently had our Safe Hire qualification renewed. This is the 13th year in succession that it has been awarded to County Hire, and confirms the effectiveness of the procedures we use to ensure our equipment is safe to hire to all our customers. Safehire is the HSE recognised hire industry standard for high levels of health, safety and customer service provision. This standard was developed and written with the assistance of the BSI - British Standards Institution, HSE - Health and Safety Executive and CHAS - Contractors Health and Safety Assessment Scheme. Hire Association Europe considers Safehire to be the ultimate in hiring and a target that all hire companies should aspire to achieve. So for all our builders, contractors, local authorities and DIY customers looking for the cream of the hire industry they should look to those with a Safehire Certification. The GroundsCare RotoCleanse is the efficient new way to clean flat surfaces. It is a self-contained, walk-behind, professional pressure washer that produces a uniform standard of cleaning across an area with minimal overspray onto surrounding objects. Optional chewing gum, rotary brush and turbo lances are available. Model 600 which is ideally suited to cleaning large areas such as car parks or multiple tennis courts, and Model 400 which is more manoeuvrable and easier to use in restricted areas such as domestic patios. Twin spinning jets, rotating at 2000rpm clean the surface to a uniform, high standard. The heavy duty skirt retains debris and minimizes over-spray, thus allowing cleaning to be carried out without the risk of contaminating or damaging nearby objects. There is a port, at the rear of the deck (model 600 only), to which the operator can attach a wet vacuum cleaner for collection of waste water and debris. Can be purchased from Groundscare Products. Ex-hire models, with low hours, also available to purchase. Two building labourers suffered horrific chemical burns after working knee-deep in wet concrete at a development in London. One of the workers required skin grafts to both ankles. Westminster Magistrates' Court heard, during a two-day trial, that the two injured workers, who were working as casual labourers for 55-year-old builder Geoffrey Cinko, had been asked to assist with the concreting of a basement excavation. The wet concrete was poured into the excavation and they had to wade through it to evenly distribute and smooth the material before it was left to set. Some three hours into the work one of the workers complained of severe pain to his legs. He got out of the concrete but could find no welfare facilities to wash the concrete off his legs. The labourers therefore continued working in varying depths of concrete up to just below their knees for at least another hour before they finished. The HSE investigation found that, prior to the work, neither worker was briefed on the risks of working with wet concrete, which all good builders well know is a strong alkali that can cause serious burns and ulcers. Furthermore, the employer failed to provide personal protective equipment for the workers, such as boots providing cover to knee level; also, welfare facilities at the site were wholly inadequate, the Court heard. Geoffrey Cinko, was fined £10,000 and ordered to pay £10,000 in costs after being found guilty of breaching Section 2(1) of the Health and Safety at Work etc Act 1974. Ensure you and your workforce are properly protected, not only from wet concrete, but also from other hazards such as dust, sharp edges and falling objects. We stock a comprehensive range of gloves, hard hats, steel-toecapped boots and wellingtons, dust masks, dust extraction equipment and hi-viz clothing in our Tadley shop. I finally got around to trimming the hedge at the bottom of my garden. Should have done it earlier, but it's been so cold and wet you just don't feel like going out into the garden, do you? Actually, I think it's better to do it in the autumn when there is no risk of disturbing nesting birds, but it is still early enough in the year, so you will probably be ok - unless you have penguins in your garden! I use a low level platform. The one in the photo is a lightweight aluminium tower and can be rented for as little as £19+vat for a day. It breaks down into easily-handled components so can be transported on a roof rack, in a pick-up truck or in a Transit-sized van; alternatively, we can deliver. It is simple to assemble, has height- adjustable wheels at each corner, is easy for one person to move around the garden and is fitted with safety rails so you can't fall off it! Using a long-handled hedge trimmer, you can reach at least a six-metre run of hedge without moving the platform, so you aren't constantly climbing up and down, and if your hedges are higher than mine, you just use a higher tower. Poor standards and dangerous practices were found at nearly half of the building sites visited during a month long safety drive by HSE. We welcome Rob Taylor who joined us on Monday August 5th. Previously a truck driver, he has worked for Scandinavian Airlines for the last twenty years, and was recently fulfilling a training role at Heathrow airport. Rob, known as "50p" due to his reluctance to wager more than that (! ), lives in Tadley, is married and has two children. He is a qualified football referee, and currently manages under 17's AFC Aldermaston. Rob has been looking forward to joining us, particularly for the much shorter daily commute! Paul Jones, who was our delivery driver for many years, left us recently and now works for a local landscaping company. We all wish him success in his new occupation. Construction workers are being urged not to take their children onto building sites during the school holidays after a ten-year-old boy was spotted on scaffolding in Merseyside. We are pleased to announce that Paul Chapman of PI Chapman, local builders in Tadley and surrounding area is, the lucky winner of our Christmas Prize Draw, which consists of an Irwin tool box with £90.00 worth of tools. "Having recently hired the Hurricane pressure washer I felt the need to give you some feedback on this relatively new addition to your arsenal of hire equipment. WOW! I have never come across a pressure washer with so much power." "The cleaning effectiveness is second to none, the width of it makes cleaning large areas very quick and with the variable power function and lance this really is a one stop solution to pressure cleaning. Great tool!" We recently added a walk-behind, powered Hay Rake and Power Scythe to our hire fleet. The idea came from Rob Jones of The Garden Design Company, and having used the machine during autumn 2012, he is delighted with its performance. Rob’s business (www.gardendesignco.co.uk) is increasingly involved in establishing and maintaining wild flower meadows, mainly in medium to large size domestic gardens. "I had trialled the hay rake and cutter previously but never used it ‘in anger.’ The boys jumped on the cutter, but after a few hours were spotted using hand rakes rather than the mechanised hay rake. After a brief chat from me they attached the rake to the tractor unit and never looked back. Completely awesome bit of kit." TIP - Why should you use a scythe, rather than a rotary or flail mower? Because mulching the grass feeds its roots and makes it stronger, thus providing unwelcome competition for the wild flowers. Cutting with a power scythe and then gathering and removing the grass gives the wild flowers a better chance of thriving. The Hay Rake and Scythe are essential tools for maintaining your meadow. We have had birds nesting in our gas cage again this year, only this time it was a family of robins; usually it's wagtails. They all fledged last Thursday, but things went a bit wrong when two of them flew into the warehouse. The parents were in and out all day feeding them, and eventually one of the chicks flew out into the yard, but the other one refused to budge. Despite our efforts to shift him, he was still there on Saturday morning until one of the parents finally managed to coax him out into the big, wide world. After his rather rocky start, we hope he has a good life. No gas was harmed during the residence of these birds. Propane and Butane gas bottles are available from our Tadley shop. I wonder if we shall get similar snowfalls to those we experienced over the last two winters? If so, we have the answer to the problem - compact, powered, walk behind powered sweepers and snow ploughs for hire or for sale. Both are excellent tools for shifting snow (even hard-packed snow) and slush. When the cold weather has gone, you can use the sweeper to clear away grit and other winter debris. We also rent salt spreaders and powered gritters, and stock snow shovels, salt (25kg bags), thermal gloves, hi-viz clothing and a range of work boots and wellingtons. Since writing this, the snow has now hit Scotland and is expected to affect high ground in northern England, so watch this space! Last winter has been so severe it has left the ground very compacted and the turf under stress. Lawns need some tender loving care. We can help you solve your problem by taking advantage of our very special rates. Your lawn needs aerating Why? Over time most soils will become compacted, squeezing the particles together and reducing the grass's ability to grow strong and healthy and to drain properly. This compaction will in itself cause a number of problems such as the likelihood of the lawn becoming flooded or water logged. Compacted soil is more likely to become infested with either weeds, such as daisies, or moss. The roots are unable to access the nutrients they require, so the grass tends to be thin and very weak. If thatch is a problem in a lawn then the best way to reduce its impact on the turf growth is by hollow tine aeration. This procedure is the most effective way of reducing sub-surface thatch and soil compaction. This operation involves the removal of thousands of cores, each about the size of a man's little finger, from the lawn. Your lawn needs scarifying Why? Lawns that have developed a large amount of thatch or moss needs to be scarified to remove as much of this material as possible, thus allowing space for the grass to grow. To allow it to recover from this rigorous process, scarifying should be carried out at a time when the grass is growing actively, usually from Spring through to Autumn. If a fertiliser treatment was going to be used, it would generally be more advisable to scarify beforehand, as this will greatly speed the rate of recovery from the process. Its time to start thinking about preparing the ground for seed. How will I do it? What shall I use? Have we got a machine for you!!!!!! The Turf Teq surface preparation rake is a robust time saving power harrow designed to quickly prepare a level, fine textured bed ready for seeding or turfing. It can also be used to slit the surface prior to re-seeding of a patchy or worn-out lawn. 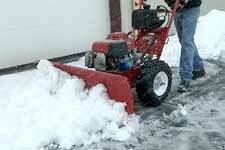 It is easy to handle, especially in the hard to reach areas, and also makes an excellent stone rake. It re-levels grassed areas that have become damaged and uneven. Loosens and levels compacted areas. Quickly creates a smooth, stone- free surface for reseeding or turfing. 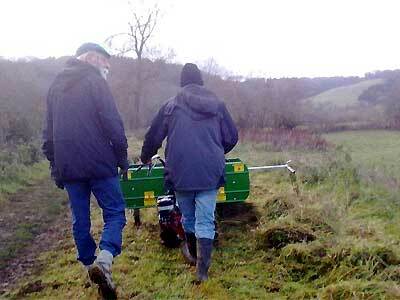 It will scarify worn out grassed areas ready for over-seeding. Rakes to the left, right to work debris into windrows for ease of collection. Raking depth is instantly adjustable from 3 to 30mm. 36" wide raking drum with carbide tungsten teeth. Don't delay! book today! call the Hire Desk for price and availablity. For the last few years, we have loaned Tadley/Calleva Football Club 500m of plastic barrier fence and supports for their annual 6-aside football tournament. This popular event, which has taken place for at least the last ten years at AWE's Sports Field, draws teams from places as far afield as Portsmouth and Southampton. In order that the tournament can be completed within the available time, nine games are played on nine pitches at the same time. For the last three years, space has been limited due to rebuilding work at the nuclear facility, and the Club asked us if we could provide fencing to separate the pitches. The Football Club would be interested in hearing from any local individual or businesses who would be interested in providing sponsorship (however small) for future tournaments. For more information please contact Paul Holmes on 0777 97 222 60. We have recently added the complete range of Turf Teq landscape maintenance equipment to our hire fleet. The Power Edger is an outstanding machine. It quickly creates the outline of new flower and shrub beds, redefines existing ones, cuts a crisp edge against kerbs or paths and digs narrow slits and trenches (1/2", 2" & 5" wide). Hire Desk Controller, Richard Jankowski, is delighted with the new additions. 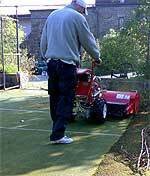 "We can thoroughly recommend these machines to landscapers, sports clubs and landscape maintenance companies. Our customers have received the new machines enthusiastically, and are impressed with the ease of use, excellent results and rugged build quality." Turf Teq products are manufactured in the USA, and are imported by GroundsCare Products. As winter approaches the garden is just one area that will require attention whether it be a "clean up" or preparation for the winter months ahead. Depending on the level of maintenance, which has been given to the garden during summer the amount of time needed to tidy up the garden and its lawns can vary from a just a few hours work to several days or weekends. One job that can be laborious is the collection of fallen leaves, especially on grassed and paved areas. The traditional autumn "leaf drop" creates a lot of extra work at this time of year especially if your garden or home is bordered with a large number of trees. 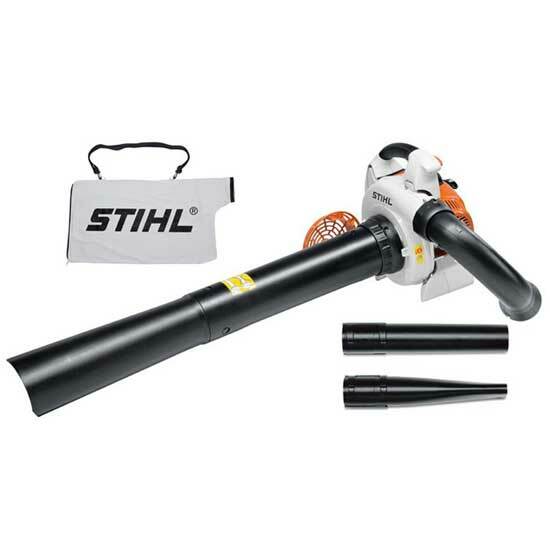 The most popular piece of equipment to hire for this problem is the leaf blower. 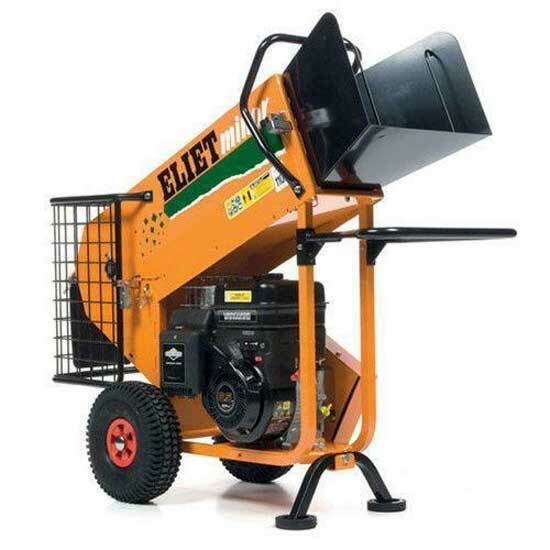 This piece of equipment is used to simply "blow" the fallen leaves into a confined area of your garden where they can then be collected for disposal or alternatively shredded if you have access to a garden shredder which can be easily hired. The shredder is a very useful piece of equipment for disposing of your garden debris into a fine mulch. The Turf Teq power broom can also assist in the leaf and debris tidy up. It will also gently scarify your lawn prior to that essential lawn feed. We are delighted to announce that yet again we have recently had our Safe Hire qualification renewed for a further 12 months. This is the seventh year in succession that it has been awarded to County Hire, and confirms the effectiveness of the procedures we use to ensure our equipment is safe to hire to our customers. Safe Hire is the premier quality assurance scheme for the Hire Industry. Its effectiveness is ensured by regular, rigorous inspections by the Hire Association of Europe, backed up by occasional visits from "mystery shoppers". Painting and decorating the stairs and landing has always been an awkward job, but not any more. Now, you can rent a lightweight aluminium tower built specifically for that job. It is high enough to enable you to easily reach the landing ceiling, and has a work platform measuring 1.8m (6ft) x 0.7m (2ft 3"). The platform is surrounded by guard rails so you feel safe - and you are safe. Use it in place of the traditional ladder and a plank of wood! The tower comes as a kit of easily-handled components which can be quickly assembled by two people, and you can still use the stairs whilst it is in place. The Power Edger redefining a park boundary.